Already Christmas day has come and gone, and although it's still Christmas week, we are fast approaching 2017 which is sure to bring lots more games to play. But before we get there, here's a game to celebrate this festive season ' Chimney Presents ' by Daniel Linssen. 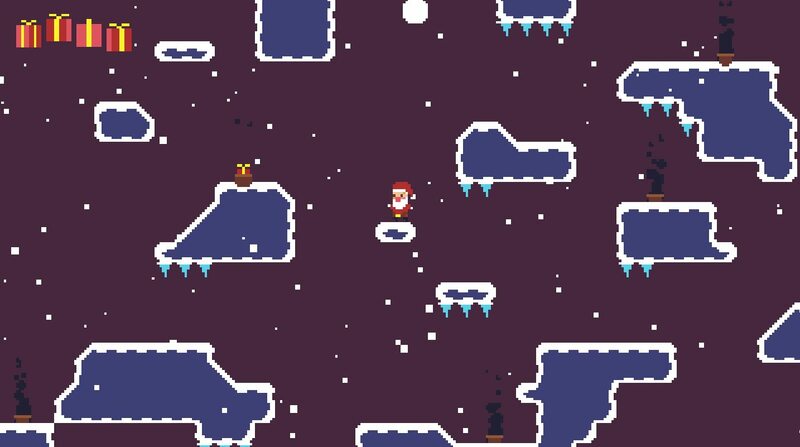 In this game you must help Santa deliver all the presents down each of the chimneys scattered throughout the level, but be careful with each scene, as it becomes ever more difficult for poor Santa, and at some point you might very well fall! 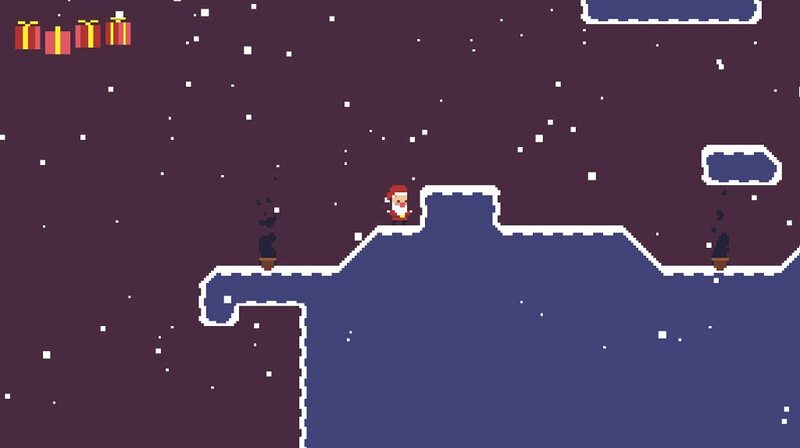 Chimney Presents is a lovely little game even if it is incredibly short and can be completed in one sitting. Through each of the many levels with snow falling in the background, you have to guide Santa around the maze like game jumping from platform to platform dropping presents down the black soot chimneys. But the problem is there are difficult traps in the way such as holly, falling icicles and even moving platforms that might squash you flat. If you can avoid those ( good luck in the later levels ) and for-fill his present quota and get back to his sledge, you'll complete the game... Which sadly is over too quickly as I wanted more!